Text messaging has been around for more than 20 years, and it is still growing as a staple of communication across all age groups and demographics. SMS messaging has proven to be an irreplaceable tool for marketers who need to get messages to as many people as possible through a format that will increase the likelihood that recipients will read them – and read them fast. The secret behind the success of text message marketing is in the sheer number of people who have cell phones, and therefore the ability to receive messages. But just as important is the staggering number of people who actually open and read the messages. 90 percent of American adults own a cellphone, and that number changes very little across all demographics. According to statistics from the Pew Research Center, men and women own cell phones in similar numbers, as do different races and people with different levels of education. It doesn’t matter whether they live in an urban, rural or suburban environment. They only real differentiator is income, and even in that category, there is only a 14 percent gap in cell phone ownership between the richest and poorest Americans. The statistics show that roughly nine out of 10 Americans own phones across every measurable demographic. As discussed in the article “Texting is Even More Popular Than You Think,” young people are – predictably – the most connected. But they certainly aren’t the only group worth a marketer’s focus. The article cites data that shows 18-24 year olds send and receive the lion’s share of texts, with thousands of messages exchanged per month per person. But adults between the ages of 35 and 44 were not far behind. Even older Americans, according to the data, are relying more and more on text messaging as a central form of communication. A single medium that offers wide reach across all demographics and age groups may seem like a marketer’s dream – but reach is not even SMS marketing’s main selling point. The single biggest advantage of text message marketing is its unrivaled open rate, the numbers behind which are almost unbelievable. For a frame of reference, statistics show that the open rate for email marketing is around 22 percent. That means around one in five people will open an email they receive. Although that is a fairly strong number, the downside is that four out of five people will never glance at the message you worked so hard to craft. One in five is not a bad number – until you compare email to text messaging. A staggering 98 percent of text messages are opened by the recipient. That means that virtually every text message a marketer sends will be opened and read. Even better, the overwhelming majority of that 98 percent are opened within just a few moments of being received. Every other medium pales in comparison, both in the open rate and the speed with which messages are opened. Also, 95 percent of the world’s population – or 7 billion people – have mobile phone subscriptions, compared to just 2.5 billion email users. So the choice for marketers is 22 percent of 2.5 billion or 98 percent of seven billion, which isn’t much of a choice at all. 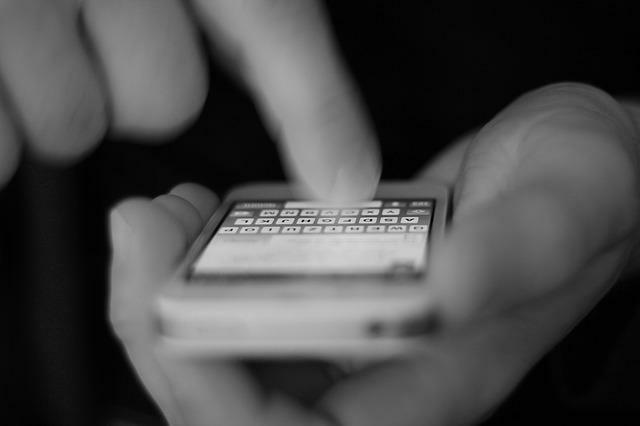 There is simply no tool available to marketers that can reach more people than SMS messaging. 90 percent of virtually every identifiable group has a cell phone, and 98 percent of them open the messages they receive right away. There is no secret to the success of text marketing. It works because it is universal and personal, and every marketer should add SMS marketing to their campaigns. Andrew Lisa is a freelance writer living in Los Angeles. He writes about small business management and offers budget help and software reviews.